¿Por dónde se empieza un proyecto Business Intelligence? ¿Por qué nos cuesta tanto documentar un proyecto? Ramp Up Your SEO Strategy With These Tips! Qlik VS Tableau. Artículo escrito por Daniel Garcia Mejia. Si te dedicas o estás interesado en el mundo del Business Intelligence, estoy seguro que alguna vez habrás oído hablar de Qlik o Tableau. En estos últimos años, las dos compañías se han enfrentado en una batalla titánica, como lo fue en su día King Kong VS Godzilla. Ambas son herramientas de Business Intelligence y son líderes en el Cuadrante Mágico de Gartner. Aunque en cualquier combate siempre hay un vencedor, esta lucha resulta especial y el ganador dependerá del escenario y las condiciones que tengamos enfrente nuestro. ¿Conocemos realmente el escenario y necesidades del proyecto? La creación de Qlik se remonta al año 1993, cuando las empresas tenían problemas críticos en el negocio y se debían tomar decisiones en base a los datos. Debido a su larga trayectoría, King Kong Qlik posee una gran experiencia en el mercado, lo que le permite conocer bien las necesidades de sus stakeholders, además de las debilidades de sus adversarios. Transformación de datos con el script ETL. El gran King Kong Qlik dispone de dos transformaciones diferentes: QlikView y Qlik Sense. QlikView fue su primera forma y es el producto que, a día de hoy, tiene más opciones para personalizar la aplicación analítica final. Sin embargo, ni es Responsive, ni permite incrustar objetos en otras webs (Mashups) ni tampoco permite que los usuarios finales puedan crearse sus propias visualizaciones para compartir conocimiento con el resto de equipos. Por este motivo, nació su transformación definitiva: Qlik Sense. 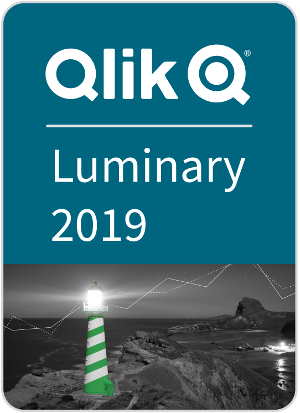 En los últimos meses, Qlik Sense se sitúa como el producto de referencia y futuro (el cuál es posible que algún día jubile a QlikView) dónde recibe una nueva versión cada tres meses que incorpora nuevas mejoras, características y visualizaciones. Se alimenta de cualquier alimento (datos) sea de un origen u otro. A Kong no le importa, él se adapta. Si el alimento no está maduro, es capaz de cocinarlo y realizar transformaciones previas (script ETL) antes de ingerirlo. 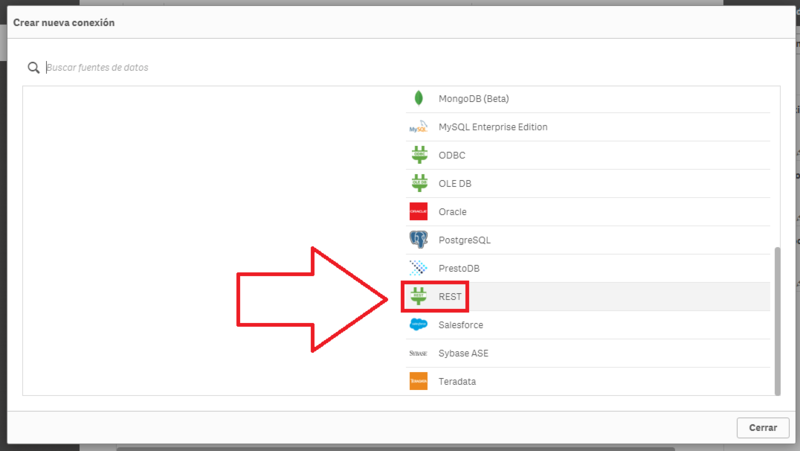 Kong Qlik puede guardar los alimentos transformados en un formato propio y comprimido (QVDs) para poder reutilizarlos cuando los necesite y cargarlos rápidamente en cualquier escenario. Precio de la gasolina en España. Mashup desarrollado en Qlik Sense. Police work. Dashboard desarrollado en Qlik Sense. Desde 2015, cuando el gran King Kong Qlik gobernaba el mundo, apareció un nuevo combatiente: Godzilla Tableau. Una herramienta de Business Intelligence Responsive. Una fácil usabilidad para el usuario. Una reducida curva de aprendizaje para obtener conocimiento. Una gran multitud de visualizaciones y formatos posibles. Con Tableau, es posible crear dashboards de forma fácil y sencilla, para que cualquier usuario (tenga un perfil analítico u otro) pueda empezar a generar conocimiento (insights) a través de los datos. No obstante, Godzilla no es perfecto. Tableau necesita alimentarse de materia prima perfecta (datos) debido a que su sistema metabólico no es lo suficientemente avanzado para ingerir alimentos que no están bien procesados y que requieren de transformaciones complejas previas. Por este motivo, Godzilla Tableau está trabajando en una nueva transformación que le permita mejorar su debilidad: Tableau Pre. No obstante, hay que ser consciente que actualmente la nueva forma se encuentra en fase prematura (en desarrollo) y deberemos esperar un tiempo antes de ver su forma final. Con todo su arsenal, poco a poco Godzilla Tableau se ha adentrado en el mundo del Business Intelligence, posicionándose como una herramienta líder y poniendo en serios problemas a su gran rival, King Kong Qlik. Pediatrics Overview. Dashboard desarrollado en Tableau. Call Center Dashboard. Dashboard desarrollado en Tableau. En definitiva, tanto Qlik como Tableau son dos excelentes herramientas necesarias para el éxito de cualquier negocio de hoy en día. ¿Cuando escoger a King Kong o Godzilla? Después de probar las dos herramientas, no te lo voy a negar. Yo siempre escojo a King Kong Qlik en mis batallas porque consigo los objetivos que me propongo. Pero, no te dejes influenciar por mi opinión. Para conocer si utilizar uno u otro, lo mejor es que pruebes las dos herramientas por ti mismo. En el caso de Kong, tanto QlikView como Qlik Sense disponen de un versión personal gratuita y la puedes descargar a través del siguiente enlace. Para Godzilla, dispones de la versión gratuita de Tableau Online que se encuentra en el Cloud, aunque los datos que subas a la plataforma serán públicos. Sino, dispones de una prueba gratuita de 30 días de Tableau Desktop. El combate del siglo va a empezar. Los dos rivales están preparados para enfrentarse. De nosotros dependerá el transcurso de la batalla. Y tú… ¿Cuál escogerás para tu batalla? ¿King Kong Qlik o Godzilla Tableau? Blog posts can come in many shapes and forms and picking the right sort of style of post can make all the difference. Here are 7 different sorts to get your cogs whirring for your next post. Tutorials and how-to guides do very well. You can focus on a single subject that will help your readers solve a problem they have or you could explain a complex process or guide them through a task they need to complete. With these posts, you will need to provide step-by-step instructions which can easily be followed and your readers will love you for this. These types of posts will also give you the chance to showcase your expertise in a subject and establish a connection with a happily educated visitor. Readers love list posts. You can give them bulleted lists, numbered lists or checklists. According to Moz, list posts will get twice as much traffic as any other type of blog post. The benefit of lists is that they tell thereader exactly what they are getting and the information is broken down so that they can focus on one part at a time or skip to what they want. Longer lists are not always better, but a number greater than 5 will generally be seen as more complete. This does not mean that you should have a thousand items in your list. Focusing on quality is more important than quantity and you need to ensure that the subject matter is useful to your readers. When you look at commonly searched for posts,the top and the best lists are up there. The keyword best will subconsciouslymake your list appear to be better than others and will imply that you havedone research into the subject. It also tells the reader that you have done some legwork and chosen the best of the best to provide to them. These posts also work well because of the fact that people love ratings and charts. When these posts are numbered, it will provide an order of greatness that your reader may be looking for. It is important to note that you can use top and best as a keyword to improve anypost. If you want to try something different, you could look at a ‘the worst’ list post. Quick tips are something else that people loveand will actively search for. With these posts, you need to think of ways that you can help your readers and provide them with useful tips. These types of posts can easily be converted into a best type list which makes them more effective. You do not only have to provide tips of what people should do, but also lists of what people should not do. Most people do not enjoy learning from their own mistakes and will make an effort to avoid mistakes completely. This is why mistakes to avoid blog posts are popular. To make these posts, you should think about some of the common mistakes that your clients or potential readers will make. You can then create a post that will help them avoid all of these issues. Another effect post that you can use will be myth busting ones. Think about some of the common misconceptions surrounding your industry and write a post that busts these myths. This type of post will also position you as an expert in the field and provide you with more credibility. When you have enough content, you will be able to start grouping your posts into series based on sequence or subject matter. This is when you can create a post that references all of your other posts. A follow-up is similar, but will be where you expand more on a post that was successful. You can create a Part 2 post and link to this from the first post. Doing this is great content marketing and will benefit both posts in terms of traffic. Another sought-after post type will be trends and predictions because people always want to keep up with current and future trends. A side benefit of these posts is that you will be positioning yourself as an expert in the industry. To make the most of these posts, you should look at create trends for the next year posts. There are a lot of people who are wary of these posts because they do not want to be wrong. However, you should look at this as anopportunity. If you are wrong, you can create a discussion and direct attention to your business. Controversial posts work very well at getting traffic and creating a lively discussion where you can engage with people. Additionally, if you are wrong, it will generally take years before anyone is able to point this out. You should always try to personalize the marketing message when possible. You can use emails to do this. You should not be afraid to talk to the customer like they are your friends. Try being warm and friendly; it is okay to have a little laugh! It is a good idea to survey the customers and see what their feedback is, and this is the case whether it is good or bad. A good business is able to learn a lot from the negative feedback, so you should be ready for any type of result. You have come up with what you think will be the best, cleverest, and wittiest slogan or tagline. And you are about to call up the design team to add the tagline to the marketing materials. Before committing to the tagline or slogan, consider test driving it first. You might think something is clever or funny, but the target audience doesn’t see it in the same light. You should test it on friends or family who are similar to the target market. Once you have something that is working for you, use it. You should not be wasting a lot of time and effort on trying to perfect it. There is a good chance that your business will grow in a couple of years, and change and this can also happen to the tagline. Find a tagline that works, liked by people, and can be understood. You should try finding the most relevant content. Content gems will help in finding the relevant content covering any interest, and you will get one interest for free, or you can choose the business plan which starts at $99 per month, and you can use it for up to 20 interests. 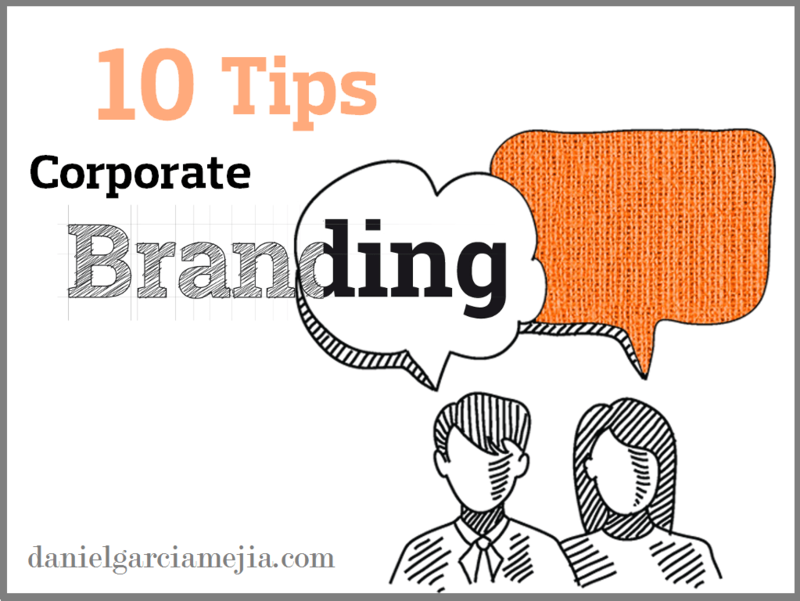 You should go with interests that are related to the corporate branding and company so you can discover content to share with the audience. You should use Buzzsumo to discover what people are sharing if you want to create some buzz. Do some researches on any topic, site, and see the shared content pieces. The free version does not have enough features to use to dig, but you can choose paid packages because they will do an in-depth research. The free option can become a good option when you are looking for a way of gauging the brand and seeing the trending topics. If you are looking to create a lot of content, including email marketing, newsletters, then you should consider getting a Content curation service such as Scoop It. This will help in keeping you organized and able to easily create content for blogs in a faster and seamless manner. The downside of such services is that you might not get the type of customization you would get if you were to hire sometime to create and execute the content plans, and this includes social media strategies. If you are looking to create content in a more organized manner, then this will be the perfect option for you. This service will not be creating content, but it will help in finding and managing content relevant to the business. Similar Web can help you find more about your competition. Looking for some analytics on your competition? Similar Web will go a long way in helping you see where you land amongst your competition. The site is simple to use; just type the URL and that’s all. You will get some info on traffic, insights on the audience, and similar sites. The process will take you a minute or two, just try it out and see. This can also be used for apps, you will get more information and insights on the app you have built or even your competitors’. The free version will not provide you with a lot of insights, but you can go for the Pro service, which will provide you with more insights and analytics. The pricing of the basic package starts at $199 per month, and goes up from there, but don’t worry because there will be a person on the site to help you choose the best option. There are many software programs that will help in automating the marketing funnels online. Some option we like include Drip, by Leadpages, and it gives you the chance of identifying the best leads, gets conversions, and tag subscribers. Hubspot has become a favorite for inbound marketing, and this is why many B2B companies choose it. It does not come cheap, but one proper lead will be enough to pay for it. This is one of the best software out there, and you can access many resources if you are interested in this software. Después de un mes de partidos emocionantes y sorpresas inesperadas, el mundial de fútbol ha terminado. Sin apenas vacaciones para los futbolistas, es el momento de volver al trabajo; el comienzo de La Liga está a la vuelta de la esquina. Cada temporada, cada partido, cada minuto, cada segundo de juego se generan datos que esconden conocimiento oculto. En el último mundial de Rusia, los entrenadores pudieron comprobar la importancia del análisis de datos para tomar las mejores decisiones durante el encuentro. ¿Y si obtuviéramos de forma automática los datos y los empleáramos para nuestro beneficio personal? ¿Seríamos capaces de predecir los resultados de los partidos de fútbol? 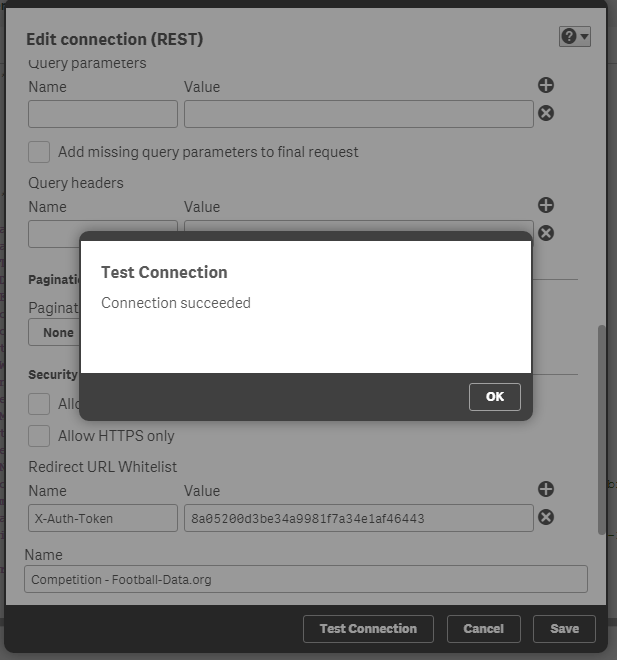 En este artículo aprenderemos cómo obtener datos de forma automática con Qlik Sense de una aplicación web externa mediante una conexión API REST. ¿Cuál será nuestro origen de datos? 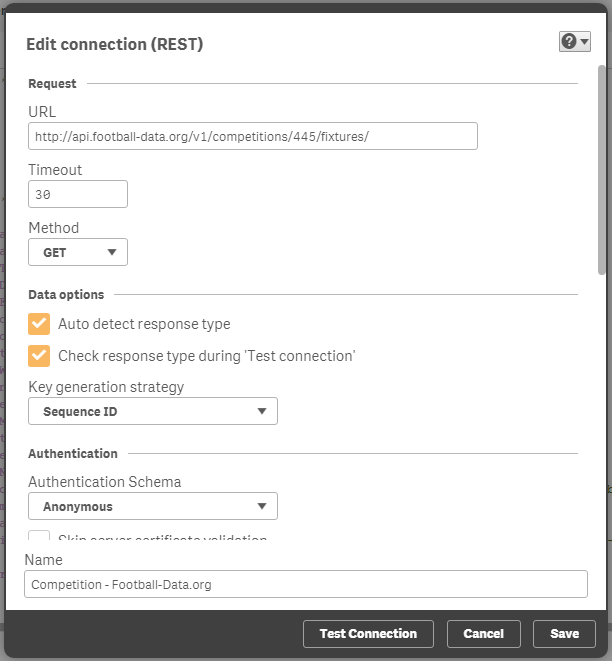 En este artículo se utilizará el repositorio Football API, el cuál dispone de datos de competiciones de fútbol de distintas ligas del mundo. 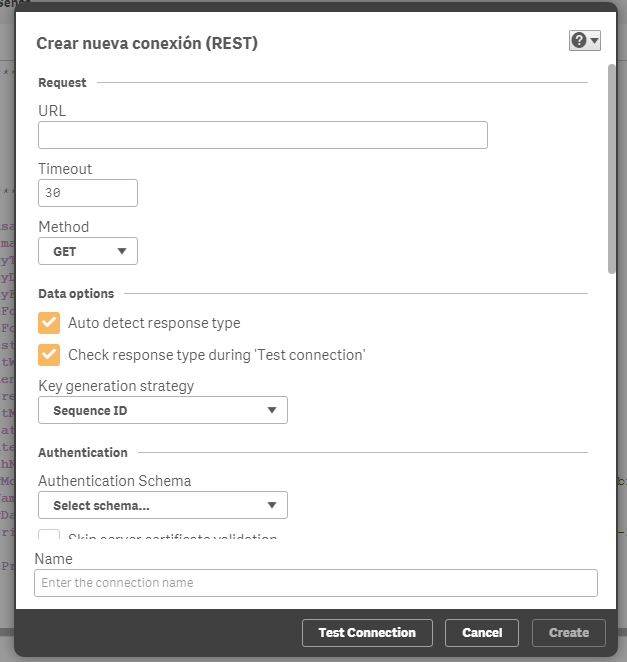 ¿Qué es una API REST? Una API (Application Programming Interfaces) es un servicio que provee un conjunto de métodos de una biblioteca de programación apoyada en el estándar HTTP con el objetivo de ser utilizado por otro software. Por ejemplo, la API de Twitter proporciona diferentes funciones para obtener sus datos y que cualquiera pueda utilizarlos en sus propios desarrollos. De esta forma, Twitter se asegura de lo que pueden hacer los clientes desarrollados por terceros. Por otra parte, REST (REpresentational State Transfer) es la interfaz entre sistemas que utilice HTTP para obtener datos o ejecutar acciones sobre ellos, en formato XML, JSON, etc. En cada llamada el cliente debe enviar el estado, debido a que no es posible almacenar el enviado previamente. Es el estándar más habitual para crear API’s para servicios en Internet. 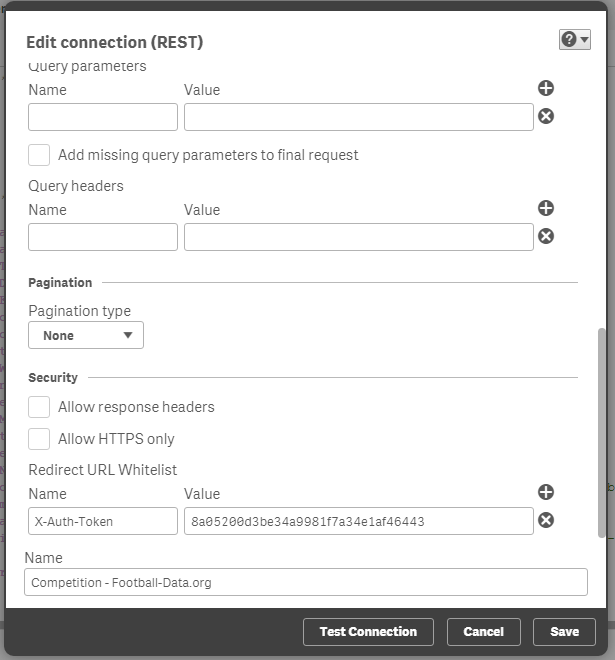 Para el caso práctico del artículo, la Football API utiliza API REST mediante llamadas en formato JSON. Qlik Sense es una herramienta de Business Intelligence que tiene como objetivo obtener conocimiento oculto a través de los datos de nuestro negocio. Para más detalles, puedes consultar la página oficial. Se trata de software privativo, aunque dispone de una versión personal para realizar pruebas o prototipos SIB. De esta forma, es posible experimentar todo el potencial que ofrece el producto y el valor que puede aportar a la compañía. Es posible descargar la versión gratuita (Desktop Edition) a través del siguiente enlace. 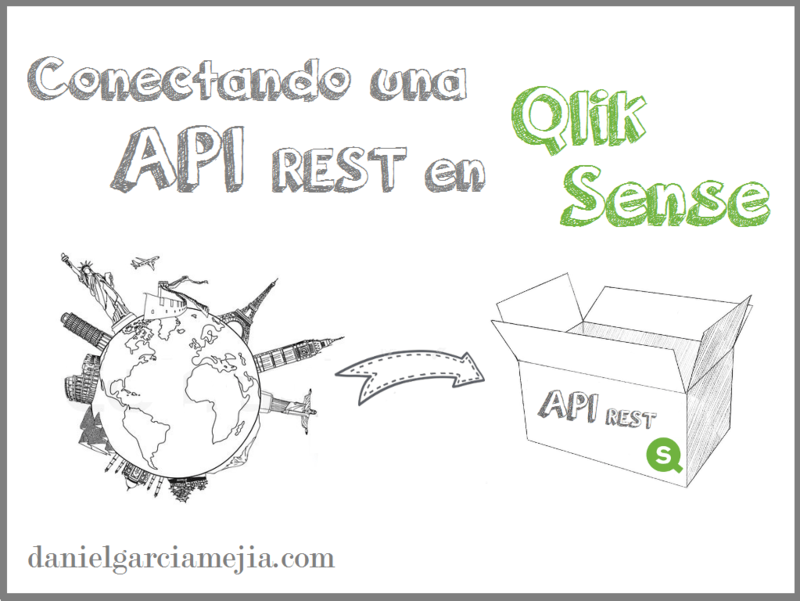 ¿Cómo definimos una conexión API REST en Qlik Sense? Para la Football API, será necesario obtener previamente una API Key (gratuita) y evitar cualquier restricción por exceso de peticiones. Se puede obtener a través del siguiente enlace. ¿Dónde puedo encontrar documentación técnica? Para más información, se encuentra disponible la documentación técnica en la propia página de Qlik. 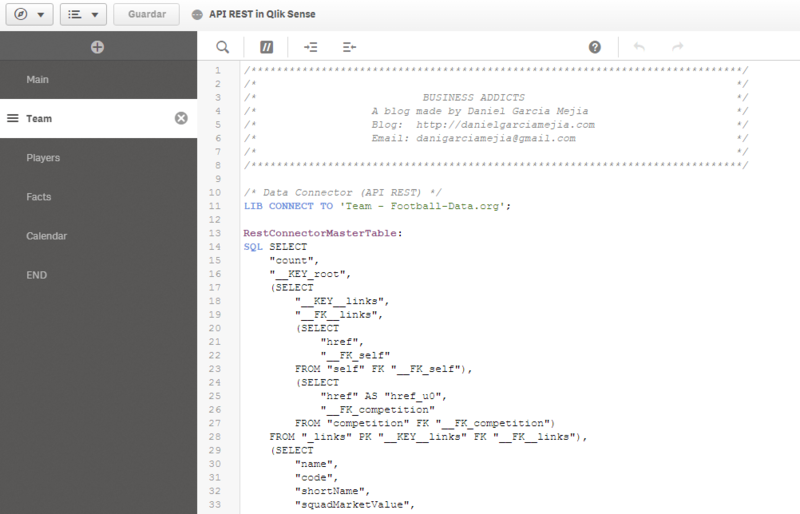 El objetivo del ejercicio práctico del artículo será obtener los datos de la API REST (mediante la conexión definida anteriormente) e incluirlos en un modelo de datos flexible y óptimo que nos permita realizar análisis en Qlik Sense. Competition: Obtener un listado de las competiciones disponibles. Team: Muestra la información de un equipo. 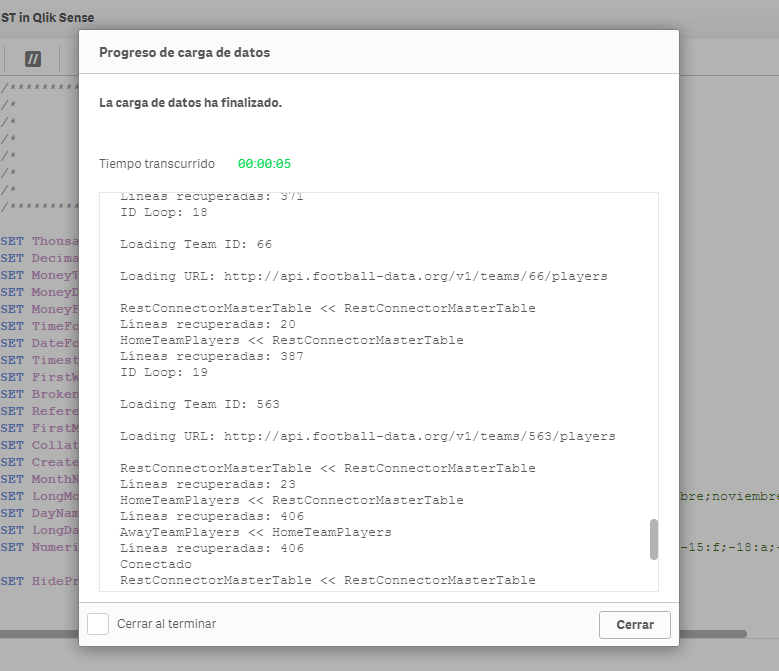 Player: Muestra la información de un jugador. IMPORTANTE: Al final del artículo encontrareis el enlace para descargar todo el material mostrado. Finalmente, la aplicación de Qlik Sense contendrá 3 hojas de análisis diferentes (Match, Team y Player Data). En la primera hoja de análisis es posible navegar por toda la información de competición disponible. ¿Dónde me puedo descargar la app Futbol? En definitiva, predecir al 100% un partido de fútbol es casi imposible, puesto que influyen ciertos aspectos impredecibles como la suerte (que se lo digan a Karius en la final de la Champions) las lesiones o el estado físico de los jugadores. Con Qlik Sense es posible conectar con fuentes de datos externas y obtener los datos de forma automática, con el objetivo de obtener conocimiento oculto y poder tomar decisiones, tanto para un beneficio personal (Ej. pronosticar partidos para ganar la lotería) o profesional (crear nuevas estrategias, aumentar el rendimiento de los jugadores). ¡No esperes más y empieza a analizar los datos de tu entorno y utilízalos para tu propio beneficio! Experts have warned that no good can really come of linking to poor quality blogs to achieve connections ultimately used to produce spam-type content. Therefore if you intend to utilize a guest blogging strategy, it is important to identify bloggers who are actually influential. Also, it is necessary to come up with a plan for identifying exactly which guest blogging options yield the most impressive returns. The problem is that just a small fraction of B2C marketing professionals indicate that they have seen real success in assessing their returns on investment, and another 30 percent report a total lack of success or a failure to even measure their results. If guest blogging is something you think will aid in building your brand, the following tips may provide the push required to get your efforts going. Experts in the area of social tracking understand that keeping good records of guest blogging initiatives is essential to getting the desired results. To make this process easier, it is suggested that you use a solid online tool or software product to get this done. Though certain bloggers have a detailed list of regulations, there may be those that permit much more leeway. When you can, try to utilize a strong ending statement that includes a clear call to action. This helps make direct contact with the audience you seek while inviting them to share your message or click on your link. A high quality blog post has the potential to stay relevant for a long period and continue to bring a positive SEO outcome. Though timely content certainly has its place, it may be more worthwhile to focus on the type of content that can continue working for the longer term. Strong brands have learned that syndication partnering is a great way to get existing pieces of content seen by new constituencies. The great thing is that no new writing needs to be done. All that is necessary is to get in touch with syndication sites and ask to be included. This can be a great strategy to add on top of guest blogging. 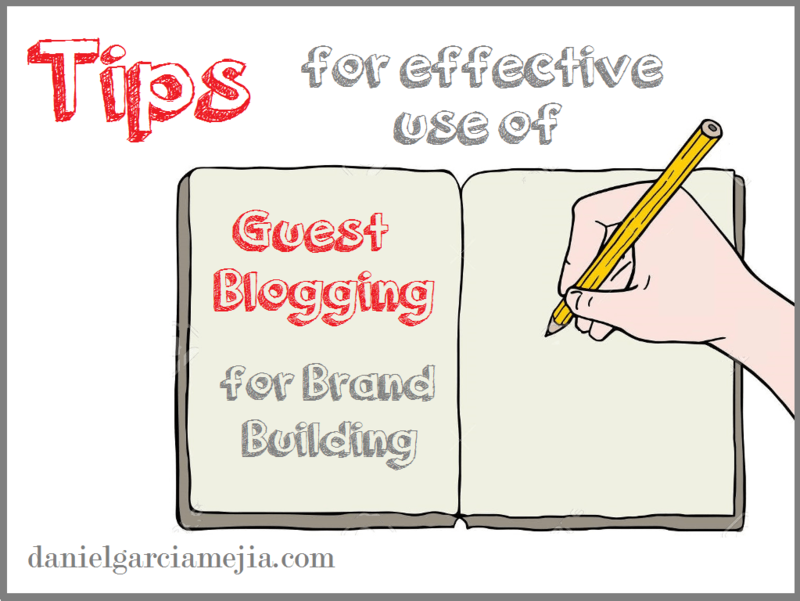 Before setting a guest blog initiative into action, be certain to conduct sufficient research. When contemplating any new channel or blog outlet, check to see if it reaches the people you need, that it values strong content and that Google views the site as not being spam-filled. The concept of guest blogging remains valuable when it comes to the building of brands, and it is great for gaining online interest. By heeding the advice found above, it is possible to maximize return on efforts and investment by tracking outcomes and adjusting as necessary. Nacido en Barcelona, 1991. Ingeniero informático. Master en IT Project Management. +3 años de experiencia y +20 proyectos de Business Intelligence. 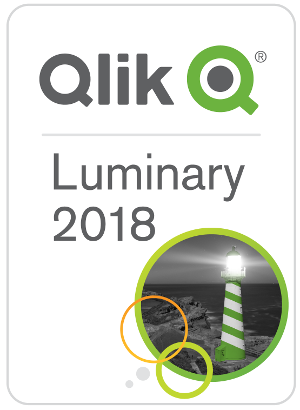 Especializado en Qlik y Qlik Luminary 2018. Dedica sus esfuerzos y pasión en aportar más valor al negocio. 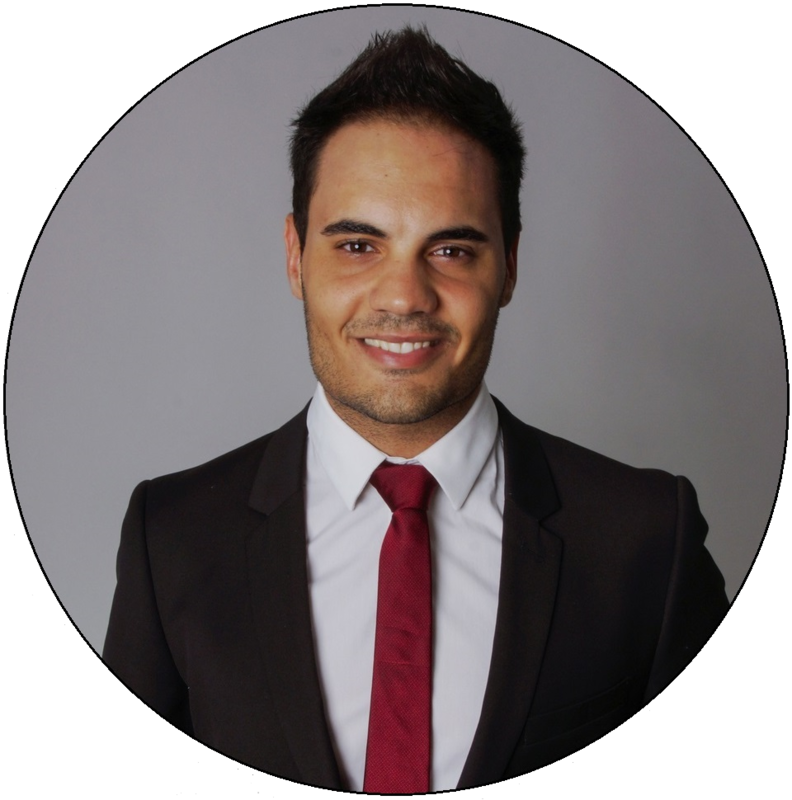 Personal blog: http://danielgarciamejia.com Experience in Business Intelligence Projects with QlikView and Qlik Sense. (+50 different projects). Master's degree IT Project Management​ at UPC. Bachelor's degree Computer Science​ at UPF (Barcelona).